For most university and college students, February and March usually herald the much-needed reading break or spring break vacation, a week to unwind and let off some steam, or a chance to go someplace hot, sunny, and exciting. Whether you're partying in Puerto Vallarta or dancing up a storm in the Dominican Republic, you don't want to be burdened by too much luggage. 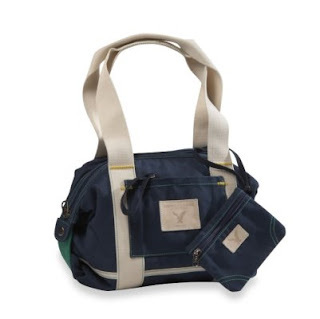 Any clothes and accessories you bring along should do double-duty and be stylish and versatile. 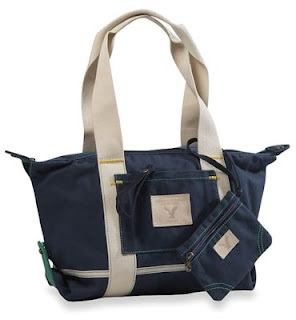 This is why I'm so in love with the small triple tote bag from American Eagle Outfitters ($34.50) right now. This handy bag does quadruple duty as a day bag big enough for your sunglasses, water bottle, sunscreen, and guidebook when you're sightseeing; a beach tote when you're tanning by the ocean or poolside; a handbag for dinner and a stroll along the boardwalk; and a wristlet for your money, phone, hotel key, and lip gloss when you go out clubbing and partying at night. 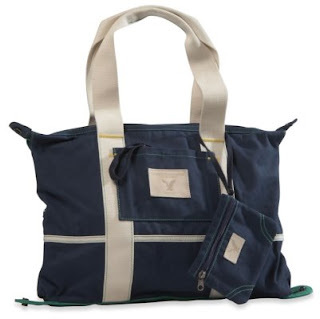 Don't let the fact that this is a distinctly casual look deter you: most of the time people tend to dress a little more casual and summery in hot getaway locales anyway, making this canvas and twill tote perfect for all occasions.